sonification of rooms (SoR) is a series of projects to translate rooms into sound. starting point was a concert of vinyl terror and horror in 2013 imagining a record needle turning in the room, instead of having a rotating record. how would that sound? 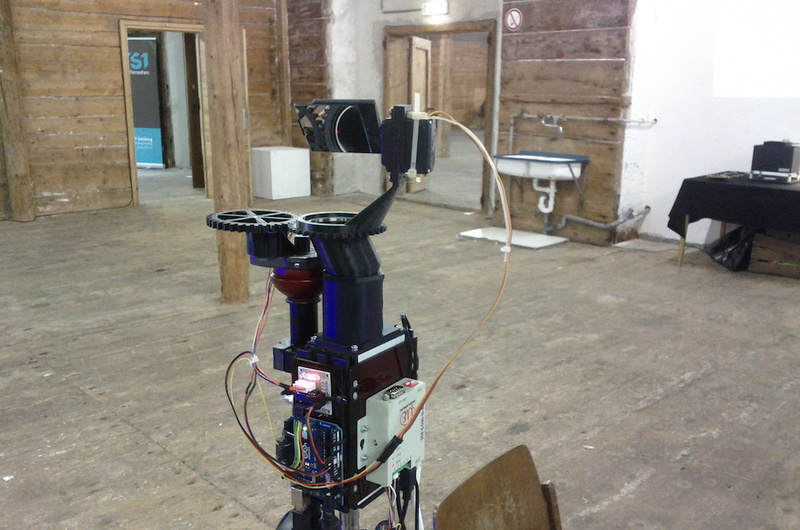 a first version was presented at the schmiede in hallein 2014. a point laser was scanning a room in an automated process playing back the measurement, creating a slowly changing noise. “urban needle” uses the same principle for sonifying urban spaces.